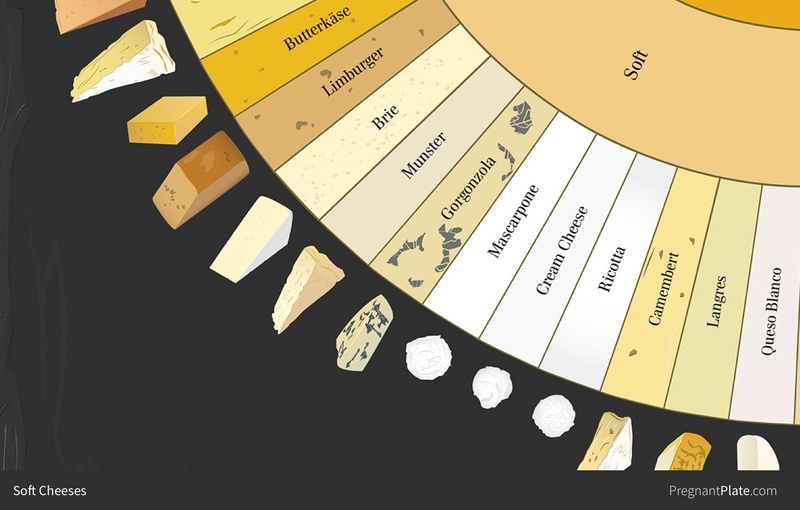 Which Types Of Cheese Are OK During Pregnancy? Life is just better with cheese. From adorning our platters to enriching our grilled sandwiches, cheese is an absolutely integral part of our meals. So much so, that we seldom think twice before enjoying our favorite feta salad or grabbing a slice of margherita. However, not all types of cheese are okay for women to eat during pregnancy. Cheese is an ancient dairy product whose time of conception predates recorded history. Several countries across the globe including Rome, Greece and China are credited for its production with the earliest evidence found in the tomb of an Egyptian Pharaoh. In fact, European countries have attributed the production of cheese to Aristaeus, the Greek God who taught humans the dairy skills that included cheesemaking. 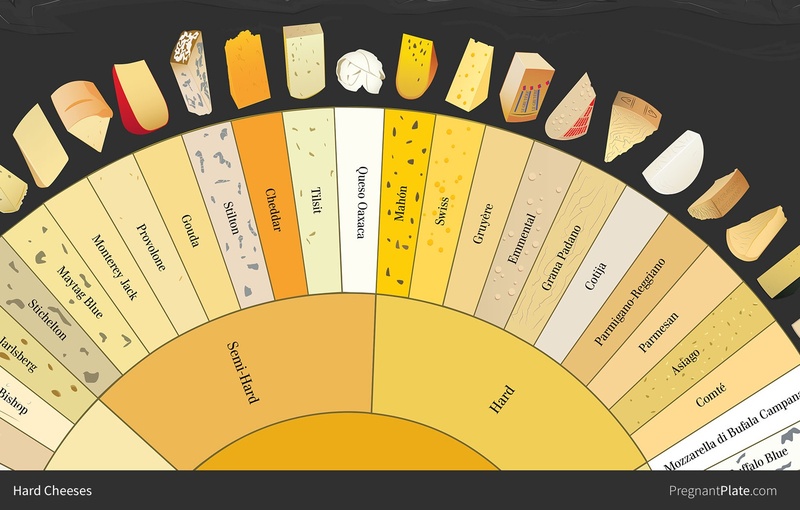 Cheese is also rich in nutrients like calcium, zinc, phosphorous, Vitamin A, Vitamin B12 and protein. It helps in the growth of healthy tissues during pregnancy and benefits a growing foetus’s heart, nerves and bones. While some types of cheese are fine for you during pregnancy, some can cause problems . The root of this distinction lies in the basic nature of soft and hard cheese. Hard cheeses are made with the coagulation of milk proteins by rennet and are aged for a long time, which dries their moisture and makes them hard. Soft cheeses, on the other hand, are aged for a much shorter period and are coagulated with the use of acid, resulting in a cheese which is gooey and softer to eat. This method of fermentation determines the flavour, the texture and the reactivity of the cheeses towards bacteria. To make the process of selection a little easier, here is a comprehensive answer to the query: can pregnant women eat cheese? What type of cheese is harmful during pregnancy? Soft cheeses, due to their moisture content have a high probability of promoting the growth of bacteria known as Listeria Monocytogenes, commonly known as Listeria. This can lead to a disease called listeriosis. The Centre for Disease Control and Prevention estimates listeriosis to be the third leading cause of foodborne illnesses and death, and a disease likely to affect pregnant women ten times more than other healthy adults. Common symptoms of listeriosis include headache, vomiting and flu-like afflictions. It can also lead to stiffness in the neck, convulsions and disorientation, if left undiagnosed or untreated. While the probability of listeriosis developing is higher during the third trimester, it can affect expectant mothers during any point in the pregnancy. The good news is that it can be detected with a simple blood test. Listeria is also found in raw meats and vegetables, processed foods and unpasteurized milk and can be eliminated by cooking and pasteurization. Listeriosis, if not treated timely, can lead to severe fetal complications and can also be a cause of miscarriage, premature delivery, neonatal death and stillbirth. However, most cases of listeriosis can be detected early-on and are easily treated. What types of cheese can pregnant women eat? Here’s a classification of cheeses that expectant mothers should and should not eat. Also known as Parmigiano Reggiano, this calcium rich cheese is lactose-free and safe for women during pregnancy. This better half of Mac & Cheese is filled with phosphorous and protein and is safe for mums-to-be. Available in white & blue, only 6 dairies around the world are licensed to make the mineral-rich Stilton cheese. Originating from its namesake city of Gloucester, this rich and savoury cheese hits the right balance between lit and pregnant fit. Holland’s freshest, Edam, has savoured cuisines from France to Mexico with its nutty flavor and vitamin goodness. Though lighter than most, goat cheese is made with unpasteurized milk and is not good to eat during pregnancy. As it is made with sugar, spice and everything homogenized, cheese spread has high levels of sodium and is not good for expecting mothers. With a moisture content closer to 50 percent, Camembert acts as a breeding ground for Listeria and is not safe for mothers-to-be. Although a sight for sore eyes, blue cheese is ripened with mould and hence, is a strict no-no during pregnancy. It would be hard to say goodbye to those greek salads but feta made with unpasteurized milk can be risky for women during pregnancy. Brie is good for any day, every day, except the ones in which you’re pregnant, as its contents are unpasteurized and can lead to listeriosis. Blue cheese from the south of France, Roquefort is made with unpasteurized sheep milk and should be avoided during pregnancy. How Much Cheese Is It Ok To Eat During Pregnancy? Cheese is a dairy product which makes it an excellent source of calcium and Vitamin D. According to the National Institutes of Health, pregnant women between the age group of 19 to 50 need to have 1000 milligrams of Calcium and 15 micrograms of Vitamin D every day. Depending on the fat content of your cheese, it would be prudent to have five ounces of hard cheese as your sole source of dairy every day. However, it is recommended to consult your doctor to accurately gauge the type and the quantity of cheese suited to your physical needs during the pregnancy. As a rule of thumb, expecting mothers should avoid eating soft cheeses during pregnancy. Hard cheeses made with pasteurized milk, eaten in a baked or cooked form, are a safe and healthy source of calcium and Vitamin D.
As much as possible, enjoy a well-balanced, fibre rich diet and avoid excess intake of fat during the 9 months. Have a happy pregnancy!